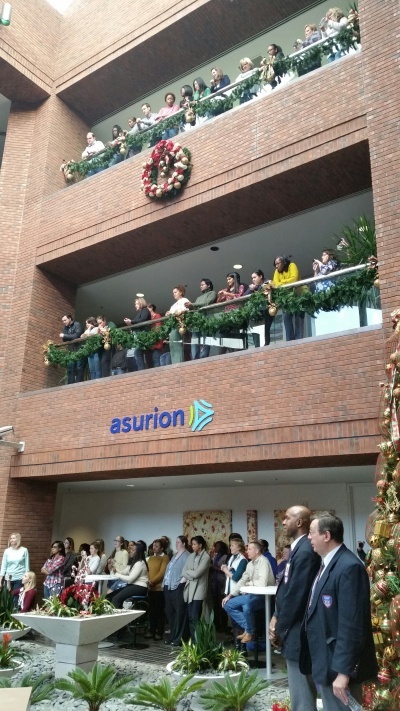 Today Asurion employees at our headquarters office in Nashville got quite the holiday treat. 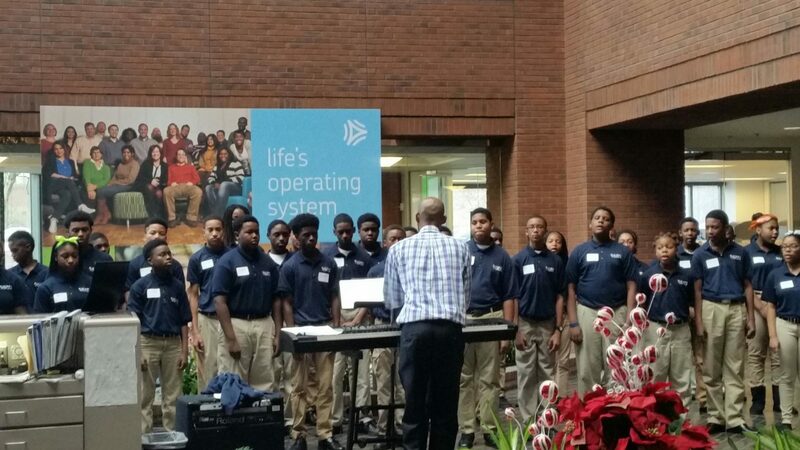 A group of middle school choir students from KIPP Academy came to spread some Christmas cheer by singing carols in our lobby. Team members gathered in our atrium to get in on the fun! Thanks KIPP Academy for the great concert today!